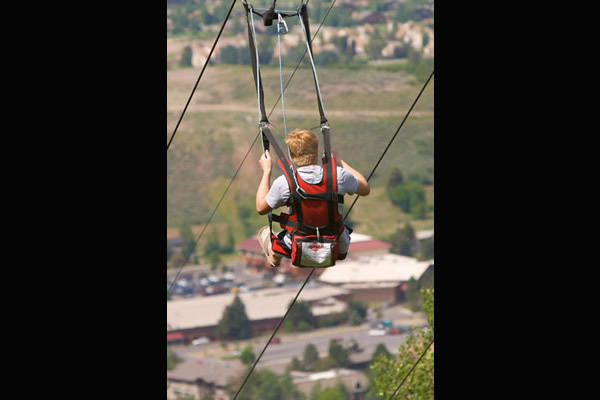 For days/hours of operation and pricing please call PCMR directly at (435) 649-8111 or visit their website parkcitymountain.com. 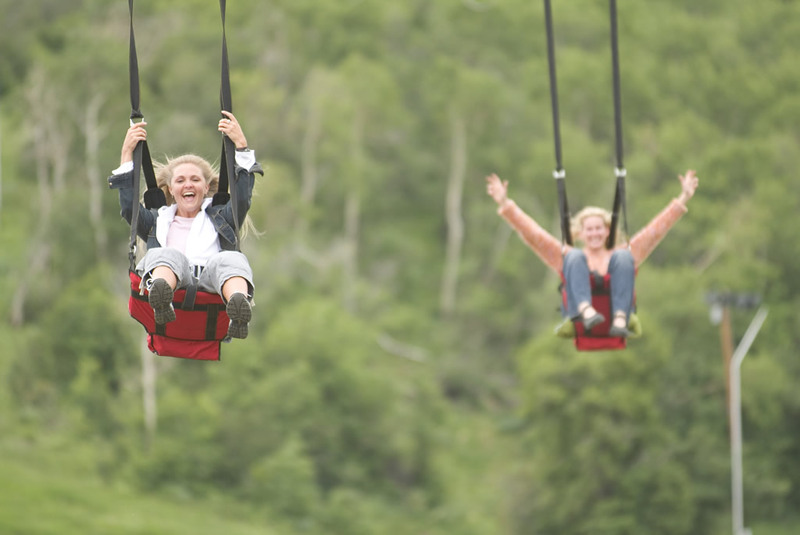 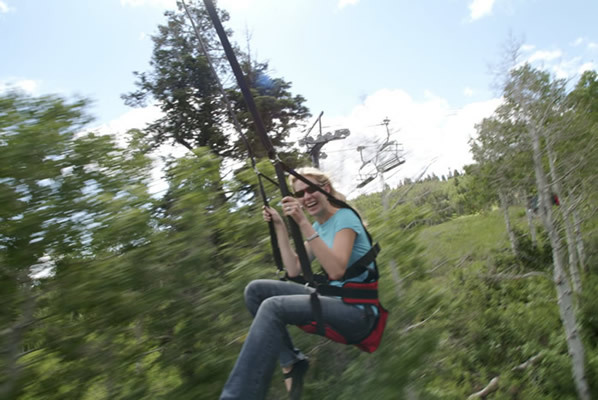 At the time of its construction the ZipRider® at the Park City Mountain Resort was the longest zipline in the world and is our flagship ride. 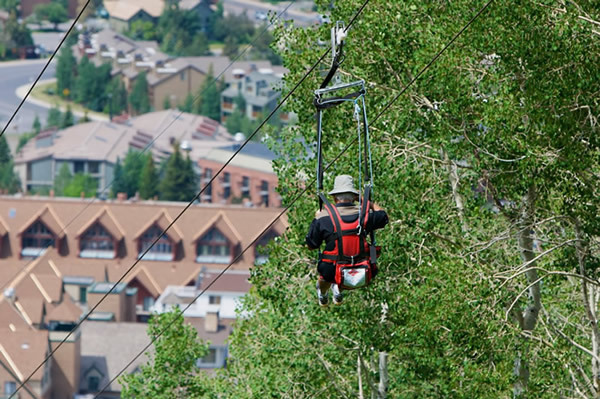 It was first built as a two cable ride in the summer of 2002. 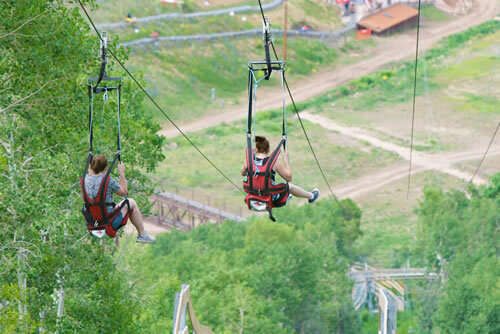 It opened up Labor Day weekend, and without any advertising there were 100 riders the first day (Friday), 200 the next, and by Sunday and Monday there were 300 riders each day! 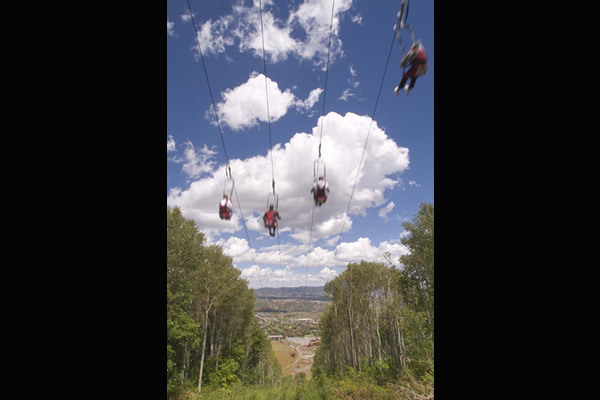 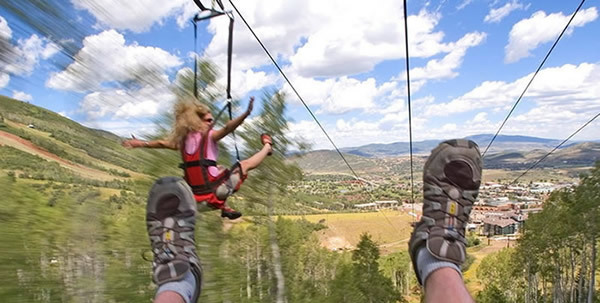 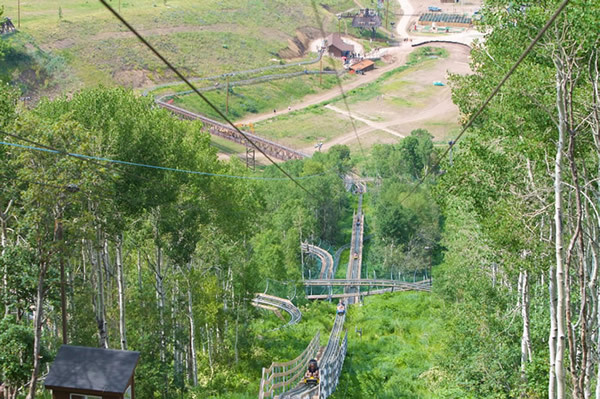 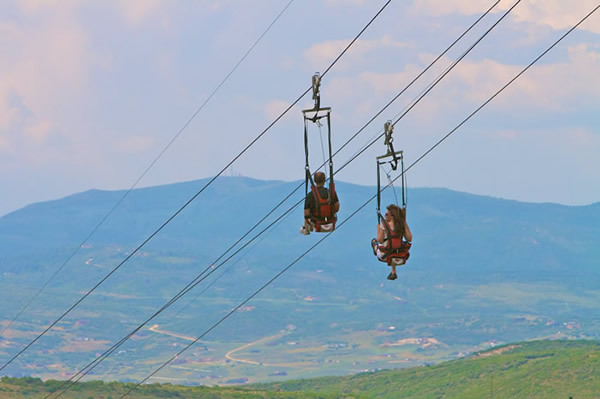 After a successful 2003 season (with an average of 1 hour-1 ½ hour lines), Park City made the decision to expand the ZipRider® by two more cables. 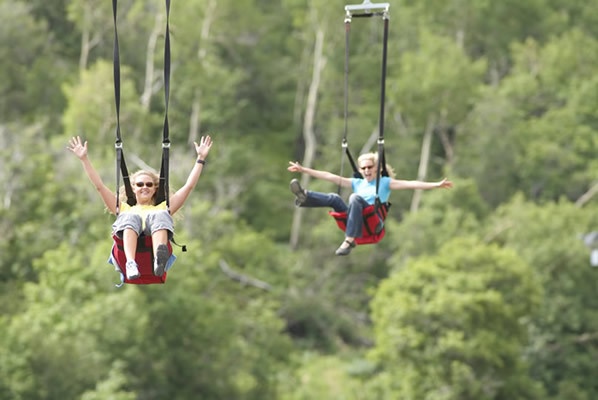 Now four people can race each other at the same time through the trees at 50 mph! 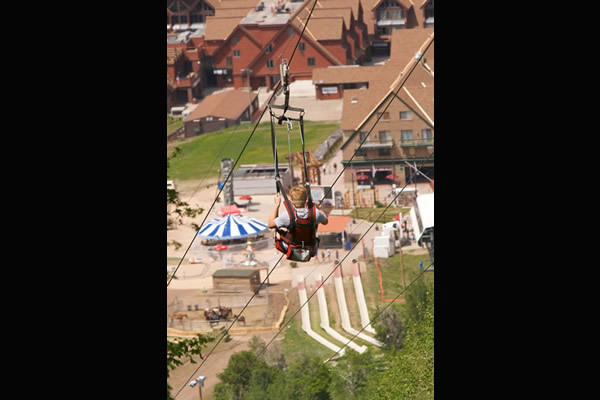 In 2007 Park City Mountain Resort installed a Mountain Coaster which brings customers up the mountainside directly underneath the ZipRider®. 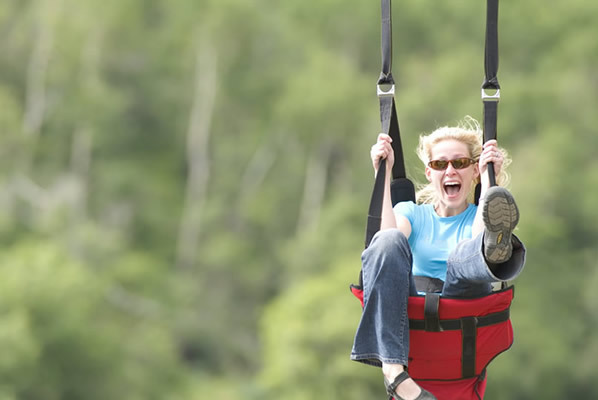 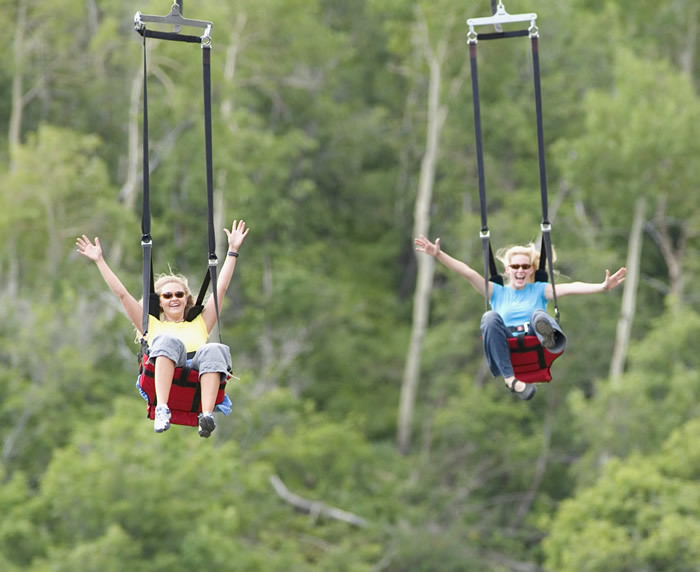 It is amazing to watch ZipRider® customers flying right over you at 55 mph! 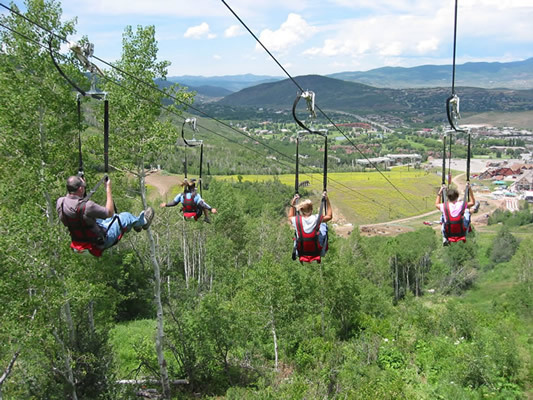 The ZipRider® at the Park City Mountain Resort typically opens up Memorial Day weekend and after Labor Day weekend it goes to “weekends only” operation. 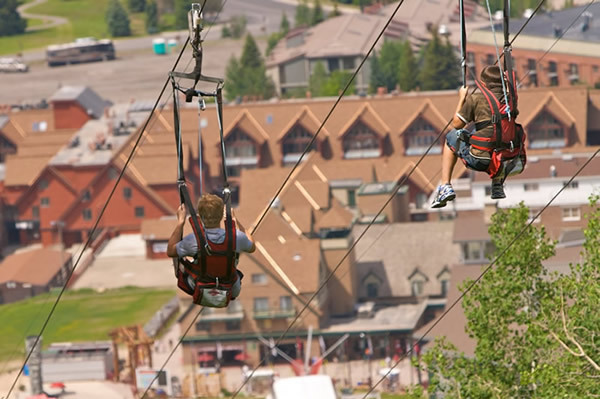 It usually closes down for the season mid-October. 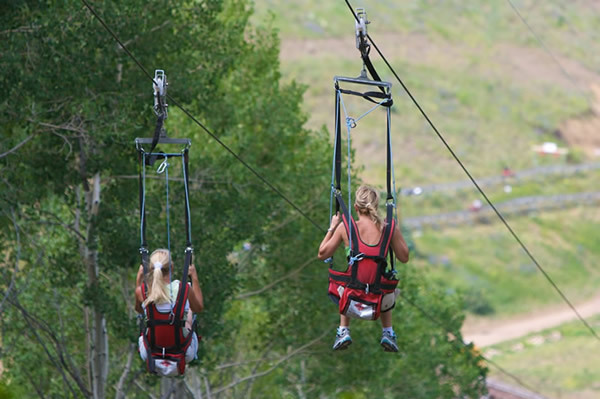 For more information on hours of operation please visit parkcitymountainresort.com/summer, and click on the “Summer Activities” tab.